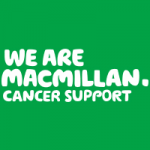 The Macmillan Cancer Information drop-in centre at King’s provides help and support if you are living with – or have survived – cancer or any other life limiting illness. This support is also available to friends, family members and carers. The Centre offers detailed information about cancer or other life limiting illness, including help with living with the consequences of a difficult diagnosis, signposting to practical and emotional support in the community, and providing a confidential space in which to discuss worries or fears associated with the diagnosis, in a quiet space. Having the right kind of information and support, at the right time, is essential, whether you are newly diagnosed or have been living with your condition for some time. The centre is staffed by a centre manager, Information Officer, and a small team of trained volunteers who can help visitors by also offering a space where they can sit quietly, relax, read or make a cup of tea. The Centre also hosts a number of support groups, a Macmillan Benefits adviser, wig clinic, yoga workshops, Look Good, Feel Better workshops, as well as helping to facilitate the Health and Wellbeing days held at King’s College Hospital. Who the service is for: This service is for any one living with/ survived cancer. Support is also available to friends, family members and carers. How to access: To access this service please contact the number provided below.